I.e. the value of the gold contained in the coin. The second leg of series of coins - a mark-up, or as they say investors, “the prize” for the rarity. Which, over time, increases. If, 10 years ago, you purchased a 6 gold coin “Canadian Maple Leaf”, then, as in the time of their acquisition, and today, 10 years later, the value of these coins will be equal to the value of the gold contained in them and nothing more. But if, 10 years ago, you purchased a 6 gold coins in the form of short-run some or limited series, but today, due to the resulting, over time, the margins for the rare, the market value of these coins can be higher than twice, or even more what value they contain gold. Imagine that you are the owner of a 6-coin “Canadian Maple Leaf” and 6 coins from some limited or short-run series of 10-year-old. What is the advantage of investment coins you own, “Canadian Maple Leaf”? The fact that when you buy, you pay for them a little less than a coin in the series. And what is the advantage of the investment you own coins in the form of some rare and complete series? The fact that the implementation of these coins today, you will get them for much higher investment returns than you could get from the sale of ordinary investment “Canadian Maple Leaf”, in the best case. However, any stick has two ends, two sides as every coin. At the short-run and limited production coins also have some latent defects that must be considered when making an investment decision. 1. The difference between the market price of the implementation of these coins and the price at which you will be able to quickly sell them in speciality stores coins is significantly higher than similar conventional difference (spread) for standard investment. But getting even a 1.5 gold price from the sale of a rare series, instead of the first gold prices from the sale of ordinary investment, it is also very good. Especially the implementation of a complete series of 6 or more coins. 2. 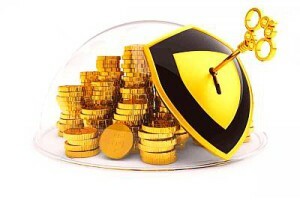 In the event of disasters of economic or military, the margin for rare gold coins is reset. Purchased initially, a bit expensive, serial coin, in a situation of economic shocks, are exactly the same as ordinary pieces of gold as coin “Canadian Maple Leaf” and other standard investment coins issued every year millions of copies. This is a slight risk of minor investment losses. However, during the formation of the investment portfolio, the risk also needs to be taken into account. Surcharge for rare gold coins is always in direct proportion to the situation in the world economy. The better the situation in the world economy, the higher the margin for rarity. On the contrary, the worse the situation in the world economy, especially for rare mark-up below. In the event of disasters in the world economy for the unusual margin becomes zero. Most benefit those who managed to keep rare coins in a period of economic turmoil and waited with them to improve the situation in the world economy. Such people always turns out to be very small, and the demand for what they own and what could be saved in the hard times, grows with the growth of the world's economic performance, with a faster pace. Now, despite the indignation of experienced investors, we unveil the veil of secrecy, hiding their ingenious and artful actions in this field. The different steps the average investor when investing in serial coins from the actions of sophisticated and experienced investor? Ordinary investor buys serial coins as they are released by the Mint (usually once a year), step by step and year after year. If the coins in the Series 6, on the 6th years , an ordinary investor becomes the owner of a complete series, for which he paid the lowest possible (in his view) the amount. In the more disadvantaged are those investors who have started to collect a series is not the first year, and from the second or third. By this time, to find the first coin in the series has become increasingly difficult and it costs a more expensive every year. Experienced investors such errors do not allow. Using specialized sources of information, they are closely watching the release of the new series. After analysing the circulation and the estimated pent-up demand, save investors are beginning to act speedily and decisively, as an investment commandos. After learning about the upcoming release of a new series of investment perspective, for example, 6 coins, a save investor immediately pillars afford to buy ... 6 of the first coins of the new series. After that, an experienced investor forgets about the series and like a predator begins to track and catch the new promising series. But in order to do exactly the same - to buy all of the first coin in the series, in an amount not less than that declared by the manufacturer the number of coins in the complete series. When the issue of the series is completed, in the hands of ordinary investors, who are always the majority, it is the set of outstanding series. Many of them do not have it the first coins of the series. As noted above, the series is a series of higher valued and only when it is full. Ordinary investors' en masse tend to close their series (to make them complete) and are beginning to search for the first coin in the series. But by this time, they are chasing for a long time stopped. A sophisticated investor, plain-their pockets first coin in the series, agreed to sell their first coins only at double the price. And they are not in a hurry. They know that their prey is, in any case. The more time passes, the more expensive it becomes complete series. And the more expensive are the full series, the greater the demand for the first coin in the series, which, for whatever reason, was not in the hands of the majority of ordinary investors. As a result, the price of the first coin in the series is growing, outpacing growth rates closed the series and any other individual coins in this series. After some time, using the current situation, an experienced investor simply exchanging three of the six belonging to him the first coin in the series, on the other 5 coins in this series - from the 2nd through 6th. Total experienced investor bought the 1st of the 6th coins. For 3 three of them, he somehow got 5 coins of the series, which he had not previously. These 5 coins, experienced investor adds the first coin of the series, the first three of those coins, which he left after a perfect exchange “3 by 5”. As a result, an experienced investor in the hands of all is the complete series of 6 coins. The two more left in his possession the first coin in the series, the value of which is two times higher than the value of the last coins of the series or the value contained in these coins gold. That is, the two remaining coins from the first series, the experienced investor just sells at market prices. That is, at a price of 4 last coins of the series or the price of 4 usual investment gold coins. Thus, an experienced investor becomes the owner of a complete series of coins paid for this pleasure, as a result, the cost of only 2 coins from this series, which at the time of its launch the series, was equal to the value of gold and the symbolic (at the time of minting) margin for rare. With a full series of coins hands, at the price of just two coins from this series, 6-year-old, an experienced investor sells so formed a series, at current market prices. Experienced investors, this process is put on stream on a regular basis. Investment mechanism described above is replicated in a large amount of coins from the first series and the different replicated many times on all promising series. Particularly attractive, in terms of sophisticated investors look series of coins, the circulation of which is not limited by the number and time of manufacture of coins. Circulation coins, limited by time-release, limited to the current demand for these coins. But after the set of each new year, the previous edition of the coin from the series stops. In the new year begins production of a new series of coins with new designs. With each new year, this series is becoming more and more popular. Because many investors are simply occasional consumers know about the existence of this series, but starting from the second or even third year of issuance of coins. This leads to the fact that with each passing year, the demand for a coin minting of the year, is higher. Determined by the demand during the year, the circulation of coins minted in each following year, it becomes more than the circulation, which occurred in the previous year. For example, if during the first year of publication series, in line with demand, it was minted coins of 4000, then in the second year already minted coins 6000 with a new design. In the third year, according to a series of increasingly popular and growing demand, the circulation of the third coin in a series of increases to 8000 copies and so on. As a result, the first number of coins of only a limited time for release of coins series is three or five times less than the number of the last of a series of coins. The last of a series of coins minted the biggest circulations as a year of their release series ended and has become well-known and popular massively. In itself, such an imbalance in the circulation of coins over the years, pushing the market prices for the first coin in the series up. Because, in such a situation, the first coins are the most rarely, the rarest and most valuable with respect to all other coins in this series. The more experienced investors and enjoy. But do not think that sophisticated investors - is collectors. Experienced investors are described above in the example of a 6-coin trick, on a large scale. Then they sell profitable thus formed full series, remove the profit and continue to hunt for new prey, in non-stop mode. For experienced investors, this is just business and nothing personal. This like any other business, the business requires time, effort, knowledge, working capital, patience and constant attention.